As gripping as the first one, even more shocking and personal. But makes gets hazy towards the end. Beyond their wildest dreams and away from their worst nightmares Katniss Everdeen and Peeta Mellark are still alive and are winners of the Hunger Games. But she made the Captiol look like an idiot and president Snow is not very happy about it. She must keep their love show on to keep everyone alive. Just when she is fighting her inner war about her feelings for Peeta and Gale – unthinkable things happen. What happens will leave you with a shock and you will be back in the world of Hunger Games – sympathising with her and feeling every bit of emotion she feels. 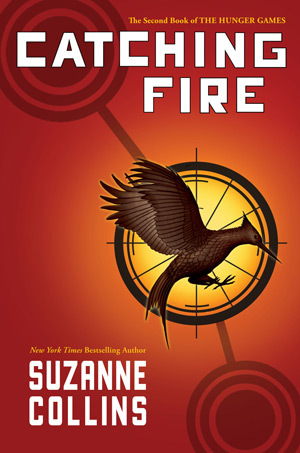 Catching Fire, the second book in the Hunger Games series, is as gripping as the first one. It’s start with being emotional and personal like the first book, but towards the end the plot broadens to become more of a social story. It’s not just about Katniss and her struggles anymore; it’s about all those districts that Capitol rules. Suzanne made a trade of personal emotions for social ones. The description and adventures in Arena were one of the best things about the first book. In the second book, even though the arena is much more advanced and better understood, it doesn’t feel as adventurous and doesn’t suit the occasion – the 75th Hunger Games. This series is so apt for current times. Can’t wait to pick up the next book. Published on September 11, 2013. Updated on December 31, 2013.